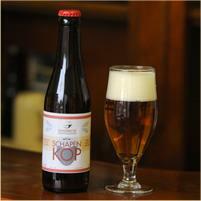 The Schapenkop is a triple of 8 %. A blond beer with a delicate touch of coriander which tends to a citrus flavor. 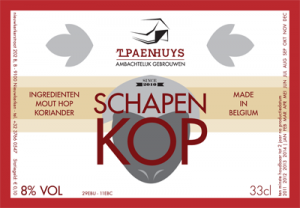 Schapenkop is the nickname that is given to the people of Nieuwkerken-Waas. Our village was home of clog makers and shepherds.